There are numerous commercial businesses and office spaces throughout Toronto and the GTA that have some form of carpeting and entrance mats or runners, and even some with area rugs over hardwood or tiled flooring. Maintaining the appearance of carpeted areas is essential as it helps improve the look and feel of your business and make a good first impression with your customers, clients, and vendors. When carpeting is not maintained and kept clean, it attracts dust, dirt, dust mites, mold, mildew, and a host of other unsavory things. Not to mention, it makes your business look poorly cared for and dirty. Would you want to eat a restaurant where the carpeting looked filthy, had tears and rips in it and your shoes stuck to it as you walked to your table? In most cases, probably not and you would leave and find someplace else to eat that had clean looking carpets. The first benefit of commercial carpet cleaning services in Toronto is helping you keep carpeting clean and maintaining its appearance. In addition, here at Dr. Carpet, we can even patch and repair worn areas of the carpeting used in your business without having to replace all of it. But, keep in mind it does depend upon the overall condition of the actual carpeting, so in some cases, if the carpeting is beyond saving, it might have to be replaced, in which case we can lend our expertise to ensure it is installed correctly. The next benefit of commercial carpeting cleaning on a regular basis is it improves the overall air quality and reduces the spread of illnesses. All that dirt, dust, dust mites, and other things in the carpeting can easily be spread into the air and circulated around your business. Once in the air, you may notice strange odours or could experience respiratory problems from allergies, as well as illnesses and infections from bacteria living in the carpeting. The next wonderful benefit of carpeting cleaning and patching services is it extends the life of the carpeting. Well maintained and regularly cleaned carpets last much longer and have to be replaced less frequently. Investing in commercial carpeting cleaning company to clean, patch, and repair carpeting a few times each year is significantly less than having to get new carpeting installed every few years because you failed to take care of it. Our experienced carpet professional can also lend assistance should your business ever experience one of the sources of water damage and you are faced with water soaked carpeting. For more information about our commercial services and to schedule an appointment, contact us today by calling 647.800.5199. We look forward to helping you keep the carpeting within your business looking great! Over time, your carpeting can start to become loose and start to detach from the tacking strips when it was first installed. This can occur for a variety of reasons, such as pushing and pulling furniture over the carpeting, rather than lifting it, or if it was not properly installed. Should this happen, the carpet can start to bunch up and bulge in specific areas, typically in those high-traffic areas. If you ignore the bulges, not only do they create safety hazards in your home or business, since people could easily trip on them, fall down, and get hurt, it also causes these carpeting to wear quick in this location. With constant foot traffic, within several months to a year, the carpeting will wear away, and the bulge starts to turn into a rip with frayed edges. The most effective way to remove bunched up section and bulges from carpeting is with carpeting pulling and stretching services in Toronto and the GTA, available from Dr. Carpet. Ideally, you will want to have these services performed as soon as you notice there is a problem with the carpeting to prevent it from becoming torn, frayed, and damaged further. However, in the event this does occur, there are repair and patching options available, as well, to ensure your carpeting’s appearance is restored. Does Stretching Make Carpeting Last Longer? Carpet stretching could extend the life of your carpeting in cases where it is bunching up, bulging, or has become detached from the tacking strips. Professional carpet installers use special pulling tools and other equipment to stretch the carpet, gently and carefully, so it is flatter. This process removes bulges and prevents them from be worn down faster and holes, rips, tears, and fraying from occurring. What Prep Work Is Needed Before Carpets Can Be Stretched? In order to correctly stretch carpeting, prior to the work, everything needs to be removed off of the carpeting. All furniture, lamps, end tables, desks, chairs, and so on, have to be taken out of the room and placed in another area of the home, temporarily. After the carpet has been stretched, the items can be replaced back into the room right away. In most cases, our professional installers can provide assistance in removing items from the room where the work is being performed. Should I Get Any Other Related Carpeting Services Completed At the Same Time? It is highly recommended to consider getting your carpets professional cleaned, repaired, and patched at the same time. Since everything will be out of the room, it makes performing these services simpler, easier, and faster. Patching and repair services resolve problems with cigarette, cigar, fireplace ember, and iron burns, beverage and bleach stains, seaming problems, and Berber runs. This is one of the most cost-effective and efficient ways to resolve any small areas of permanent damage to carpeting, which provides invisible results. Afterwards, most people cannot even find where the damage was before the repairs. 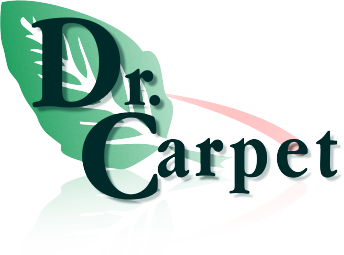 To learn more about our carpet repair, patching, stretching, cleaning, and installation services for homes and businesses in Toronto and throughout the GTA, call Dr. Carpet at 647.800.5199 now and ask for your free home/office consultation and quote appointment. Our sofas, love seats, recliners, chairs, and ottomans are used on a frequent basis and are put through normal wear and tear. Plus, there are often accidents by adults, children, and even our pets, where beverages get spilt, food gets dropped, and those unexpected incontinence accidents from toddlers and pets happen. Maintaining the appearance of your upholstered furniture is not difficult, as long as you get into the habit of ensuring you do various things on a regular basis. When was the last time you felt between the cushions on your sofa or even lifted them up, only to be surprised by all the food crumbs, hair, dirt, remote controls, children’s toys, and change you found? Not to mention food crumbs attract ants and other pests no one likes having in their homes. Further, not cleaning and maintaining your upholstered furniture results in an increase in dust mites. The human body constantly sheds dead skin cells all throughout the day, including while watching TV or relaxing on the sofa reading your favourite book. Dust mites consume the dead skin cells of both humans and pets, alike. For allergy suffers, an increase in dust mites can cause cold/flu-like symptoms, like a runny nose, watery eyes, sneezing, coughing, and chest congestion. As you can see, upholstered furniture is exposed to a wide array of dirt, dust, dead skin cells, pet dander, food, drinks and other accidents. The following tips can help keep you sofa, recliner, and other furniture cleaner and make it last longer. Never scrub liquid spills when cleaning them up. For liquid spills it is better to blot and apply pressure to the area where the upholstery is wet. Scrubbing only spreads the liquid and if it is something that can stain, scrubbing will spread the stain. Remove cushion covers if possible. Some upholstered cushion covers have a zipper you can open and remove from the actual padding. For liquid accidents, it is better to remove the cover to prevent the liquid from being absorbed into the actual padding. Wash removable covers once a month. If the covers are made from washer-safe materials, toss them into you washer every month to remove dust mites, dirt, hair, and stuck on food crumbs. Vacuum furniture weekly. Using various attachments on you vacuum, make sure to vacuum non-removable covers, seat backs, cracks, and underneath pull-out cushions. This will help remove dirt, dust, dead skin cells, food particles, and hair. Have upholstered furniture deep cleaned by a professional at least once a year. Here at Dr. Carpet, not only do we offer carpet cleaning services, but also upholstery cleaning services in Toronto and the GTA, to get down deep into the padding and remove stains, dirt, dust, and more. We utilize a unique process which leaves no soapy residues and our products and processes are safe for you, your family, and pets! Even if you have furniture with moving parts and other electronic functions, such as heat and massage in a recliner, our cleaning processes are the preferred method for keeping these types of upholstered furniture clean. In addition, our methods are recommended by La-Z-Boy because we keep moving parts and electronics dry during cleaning processes, which prevents electrical shorts and corrosion of metal parts. For more information about our upholstery cleaning services or carpet cleaning, repair, patching, and stretching services, contact Dr. Carpet by calling 647.800.5199 today to request your free cleaning/repair quote!